All personal information handled by buyKOREA has been collected, stored and managed based on relevant Acts and Articles. The 「Personal Information Protection Act」 provides general criteria for the handling of personal information, and buyKOREA will handle personal information, to be collected, stored and managed in accordance with the Article of the Act, legally and appropriately for proper performing of public services and for protecting user’s right and interest. In addition, buyKOREA respects the interests of users such as access, correction, deletion and suspension of personal information as prescribed by relevant Acts and Articles. Users may request an administrative appeal in accordance with the Administrative Appeal Act in relation to the infringement of rights and interests in this Act. buyKOREA formulates and discloses the following personal information management policy to protect the personal information and the rights and interests of owner of information according to Article 30 of the "Personal Information Protection Act" in order to seamlessly handle user's complaints related to personal information. ① buyKOREA manages personal information for following purpose. Management of personal information won’t be used for any purposes other than the following purposes and will take necessary measures such as obtaining separate consent, etc according to the Acticle 18 of Personal Information Protection Act in case the purpose of usage is altered. ② buyKOREA, the purpose of the personal information file management to be registered and disclosed in accordance with the Article 32 of the Personal Information Protection Act is specified as follows. ① buyKOREA manages and retains personal information within the period of retaining or using personal information in accordance with the article and the Act or during the period of using or retaining personal information consented from owner of information when to collect personal information. ② The management and retention period of each of personal information is specified as follows. buyKOREA shall, in principle, manage the personal information of the owner of information within the scope specified for the purpose of collection and usage, and except for the following cases, will not manage beyond the scope of its original purpose or not provide to a third party without the prior consent of the owner of information. 2. The case special articles are prescribed in the Act and the Articles. ① buyKOREA has entrusted personal information management as below for a seamless personal information management. ② buyKOREA has been storing the content of contract to clearly prescribe to comply with Personal Information Protection Act, to prohibit providing personal information to a third party as well as liability, etc when buyKOREA sign on the entrustment contract, and will inform through the notice as well as Personal Information Protection Policy when the company is altered. ① The owner of information (the legal representative can exercise the right under 14 years of age) can exercise the right of personal information protection of following each subparagraph at any time. ② The execution of right under Paragraph 1 may be made in writing, e-mail, or fax (FAX) after completing Attached Form 8 of the Enforcement Rules of the Personal Information Protection Act, and the institution will take measures without delay. ③ When owner of information has requested correction or deletion of personal information, it will not be use or provided that year personal information until the correction or deletion is completed. ④ The execution of right under Paragraph 1 may be done through the legal representative of owner of information or the agent, etc such as the person who has been delegated. In this case, he/she must submit a power of attorney according to Attached Form 11 of the Enforcement Rules of the Personal Information Protection Act. ⑤ The request of the personal information access and suspension of management of, the right of owner of information may be restricted by the Personal Information Protection Act Article 35 Paragraph 5, Article 37 Paragraph 2. ⑥ Requests for the correction and deletion of personal information cannot be requested to be deleted if the personal information is specified as to be collected object in the other Act and Articles. ⑦ We verify whether the person to request for access, correction, deletion, suspension, etc according to the owner of information’s right, is the person himself or a legitimate representative. ⑧ Requests for access, correction, deletion, and suspension of personal information management will be processed in the following procedure. 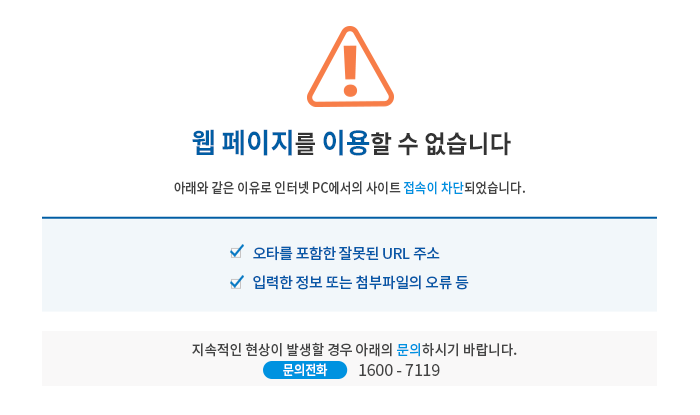 buyKOREA manages following personal information items. ① buyKOREA will, in principle, destroy personal information without delay when the purpose of personal information management is achieved. However, when it is necessary to preserve it in accordance with other Acts, this is not the case. The procedures, deadlines and methods of destruction are specified as follows. Unnecessary personal information and personal information files are managed under the responsibilities of personal information manager according to the internal policy procedure as follows. When the personal information file becomes unnecessary such as the purpose of personal information file management being achieved, abolition of service, or the end of the business, the personal information file is destroyed without delay from the date when personal information management is recognized as unnecessary. 1) Electronic forms of information use technological methods that cannot reproduce the records. 2) Personal information printed on paper is shredded by shredder or destroyed by incineration. buyKOREA, pursuant to Article 29 of the 「Personal Information Protection Act」, takes the technical, administrative and physical measures necessary for ensuring safety as follows. We have designated and minimized the person in charge of personal information management and implemented measures to manage personal information. We take necessary measures to control access to personal information through granting, modifying, and deleting access rights to the database system that manages personal information, and also control unauthorized access from outside by using an intrusion prevention system. The user’s personal information is encrypted and stored and managed. In addition, important data use separate security function such as using to be encrypted, etc when to store and transmit. ① The owner of information can request to access personal information pursuant to Article 35 of the Personal Information Protection Act to the following department. KOTRA will endeavor to promptly handle owner of information’s request to access personal information. ② In addition to the reception and handling department of access request of Paragraph 1, the owner of information can also request personal information access through the website of the comprehensive support for personal information protection (www.privacy.go.kr) of the Ministry of the Interior. The owner of information can inquire damage relief, consultation, and others about infringement of personal information to the following institutions. buyKOREA can use cookie which stores users information and detect them at any time (COOKIE, automatic collection device of personal information such as internet access information file, etc). A cookie, as a small amount of information that a server to be used to run an institution's website sends to a user's browser, is also stored on the user's computer's hard disk. When a user accesses a website, the institution’s computer can read the contents of the cookie on the user's browser and detect user’s additional information in your computer, and can provide the service without further input such as the name of the contact, and others. Cookies identify your computer but do not personally identify yourself. In addition, the user has the option of installing cookies. As a result, by that the user can install the options in the web browser, the user accept all cookies, or check each time when a cookie is saved, or refuse to save all cookies. However, when you refuse to install cookies, you might turn to be uncomfortable with using the web and to have difficulty in using some services that require login. ①	This policy shall enter into force on June 1, 2018.